What is a Power of Attorney and what are the different types? 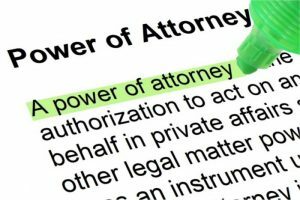 A power of attorney (POA) is a document that allows you (the giver of the authority, also known as the “Principal”) to appoint a person to manage your affairs if you become unable to do so. A POA requires you to name someone you know as an agent or attorney-in-fact (though the person does not need to be an actual attorney) who steps into your shoes and makes decisions on your behalf. Some of the things you may authorize your agent to do are: sign checks and tax returns, enter into contracts, buy and/or sell real estate, deposit and/or withdraw funds, run a business, or anything else you do for yourself. Generally speaking, a POA may be broad or limited. If the POA document is drafted for a specific purpose, then your agent cannot act outside the scope designated in the document. A regular POA ends when its purpose is fulfilled or at your incapacity or death. There are different types of POAs and each type of POA gives your attorney-in-fact a different level of control. 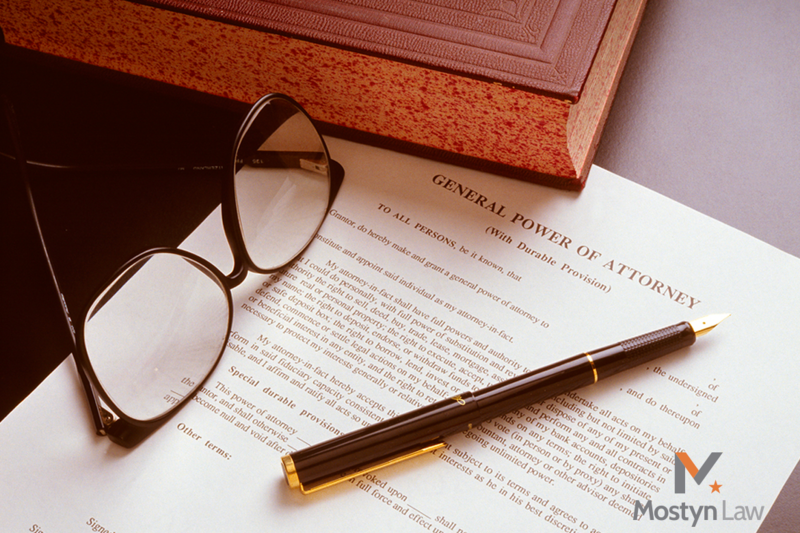 General Power of Attorney: A general power of attorney gives broad powers to a person to act on your behalf. Some examples of the powers that may be granted in a general POA are: handling financial and business transactions, buying life insurance, settling claims, operating business interests, making gifts, and employing professional help. A general POA is an effective instrument if you will be traveling internationally and need someone to handle certain matters domestically, or if the time comes when you are physically or mentally incapable of managing your affairs. A general POA is typically included in an estate plan to ensure that someone is authorized to handle financial matters. Special Power of Attorney: A special power of attorney allows you to specify exactly what powers an agent may exercise on your behalf. This type of POA is utilized when one cannot handle certain affairs due to other commitments or health reasons. Some of the powers that may be included in a special POA document are: selling of personal and/or real property, management of real estate, collection of debts, and facilitation/management of business transactions. Health Care Power of Attorney: If you should become unconscious, mentally incompetent, or otherwise unable to make decisions on your own, a health care POA grants your agent (also known as an attorney-in-fact for health care, health care proxy, or surrogate) authority to make medical decisions for you and to ensure that doctors and other health care providers give you the type of care you desire. A health care POA is not the same thing as a living will. A living will addresses deathbed concerns and is used to declare your desire to not have life-prolonging measures be taken if there is no hope of recovery (such as, in the event of brain death or terminal illness, where someone may choose a “Do Not Resuscitate” (also known as “DNR”) option. Many states allow you to include your preference about being kept on life support in a health care POA. Some states permit the combining of parts of the health care POA and living will into what is known as an advanced health care directive. 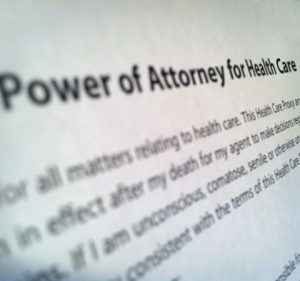 Durable Power of Attorney: A durable POA is a general, special, or health care POA that has a durability provision to keep the current power of attorney in effect should you become mentally incompetent due to illness or accident. In other words, the agency relationship remains effective even if you become incapacitated. You may consider signing a durable POA to prepare for the possibility that you may become mentally incompetent due to illness or injury. For this type of POA, you should include a specific provision stating that the POA cannot go into effect until a doctor certifies you as mentally incompetent. The durable POA may include the name of a particular doctor you wish to determine your competency or it may include a provision requiring two licensed physicians to agree on your mental state. If you should unexpectedly become incapacitated, your agent may maintain your financial affairs until you are again able to do so, without any need for court involvement. A durable power of attorney ends at your death (unless it was revoked before death). Previous Post Previous Post What Is the Duty of Good Faith and Fair Dealing? Next Post Next Post Man’s Best Friend – Are You Covered?